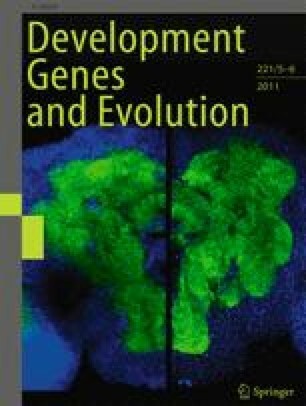 The evolution of pigmentation in vertebrates and flies has involved repeated divergence at a small number of genes related to melanin synthesis. 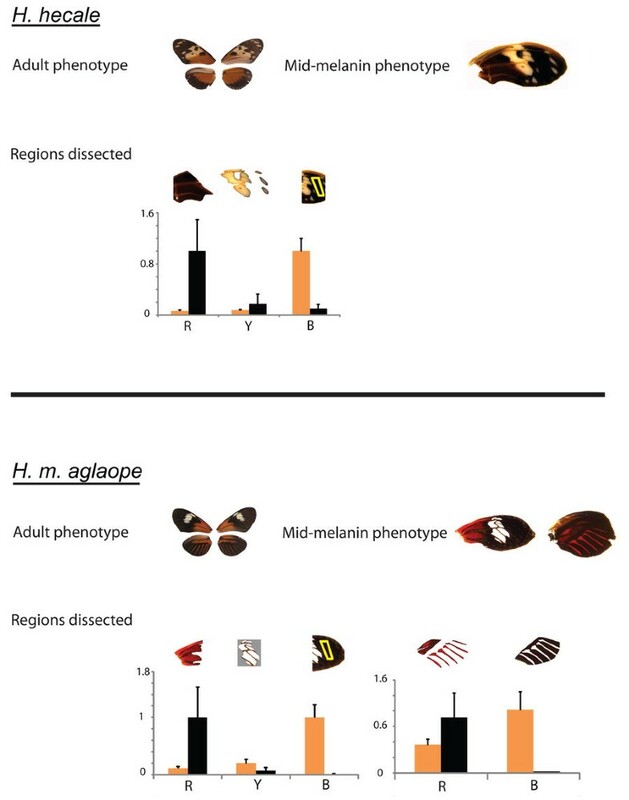 Here, we study insect melanin synthesis genes in Heliconius butterflies, a group characterised by its diversity of wing patterns consisting of black (melanin), and yellow and red (ommochrome) pigmented scales. Consistent with their respective biochemical roles in Drosophila melanogaster, ebony is upregulated in non-melanic wing regions destined to be pigmented red whilst tan is upregulated in melanic regions. Wing regions destined to be pigmented yellow, however, are downregulated for both genes. This pattern is conserved across multiple divergent and convergent phenotypes within the Heliconii, suggesting a conserved mechanism for the development of black, red and yellow pattern elements across the genus. Linkage mapping of five melanin biosynthesis genes showed that, in contrast to other organisms, these genes do not control pattern polymorphism. Thus, the pigmentation genes themselves are not the locus of evolutionary change but lie downstream of a wing pattern regulatory factor. 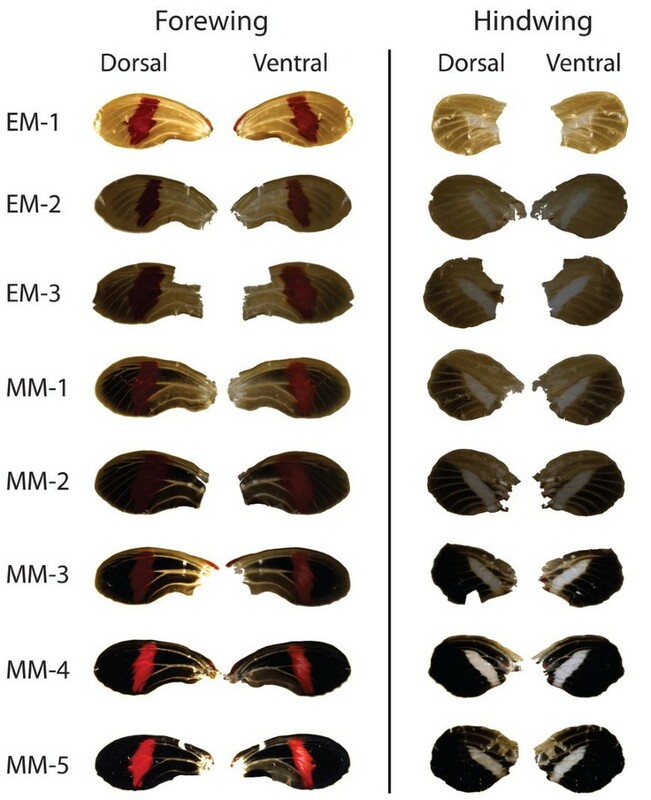 The results suggest a modular system in which particular combinations of genes are switched on whenever red, yellow or black pattern elements are favoured by natural selection for diverse and mimetic wing patterns. The online version of this article (doi: 10.1007/s00427-011-0380-6) contains supplementary material, which is available to authorized users. We thank Nick Mundy for the use of his qRT-PCR machine, and Simon Baxter and Claire Webster for contributing to linkage mapping. Breeding was carried out with assistance from R. Merrill, and Moises Abanto. Ana Portugal and Grace Wu assisted with dissections. This work was funded by a NERC Ph.D. Studentship to L. Ferguson, BBSRC support of L. Maroja and Leverhulme Trust Research Leadership grant and a Royal Society Fellowship to C. Jiggins.